2915-2921 Avenue N consists of three vacant residential apartments over three retail spaces. There is currently one vacant retail space and two month to month tenants. The apartments are all configured as large 2-BR apartments with the ability to be converted into 3-BR units. Each property is 1,824 gross SF, totaling 5,472 SF on a 6,600 SF lot. All three buildings are zoned R4, C2-2 and have a building size of 19’ x 48’. 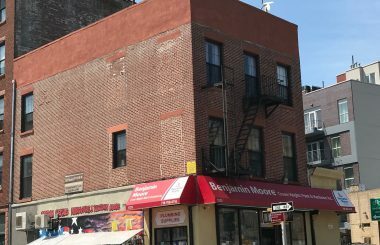 Midwood is one of the most established residential neighborhoods in Brooklyn and the greater Flatbush region is becoming a sought-after area within Central Brooklyn. Served by two major subway lines, multiple bus lines and bustling avenues, commercial property in greater Flatbush is being coveted for the current population density and future growth opportunities. Other nearby attractions include Marine Park, the Marine Park Golf Course and Kings Plaza Mall.